TheFaceShop Rice Water Bright Light Cleansing Oil - I picked up the "light" version, if you have skin that's on the drier side the original formula might be better suited for you. Bottom line ; smells amazing, does a stellar job at removing all makeup and helps brighten the skin. I look forward to trying more "rice water" skincare. 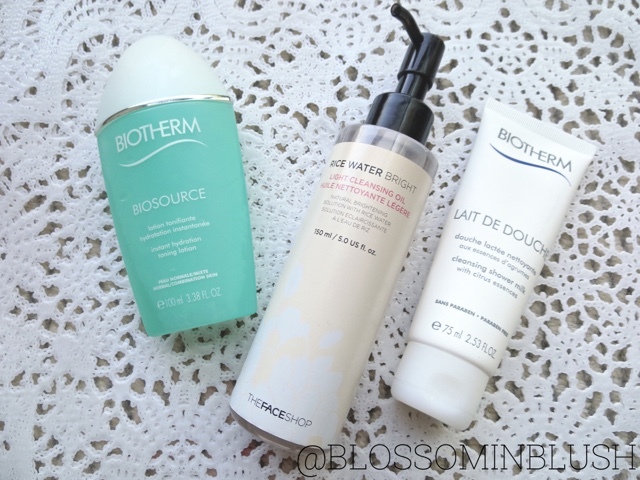 Biotherm Biosource Lotion (Toner) - I still use my Earth Science Clarifying Herbal Astringent at night, but I wanted something more hydrating for the morning. A friend of mine gave me a few Biotherm products and this toner is just what I needed! Biotherm Shower Milk - As mentioned above, I got a few items from this brand as a gift. Now I don't usually shell out lots of money for a body wash but this is soooo good. It feels so luxurious and moisturizes the skin even once out of the shower. It smells like fresh oranges, which might not be for everyone, but I love it. I don't have a nice bath tub to relax in so this is as close to the spa experience at home I can get. 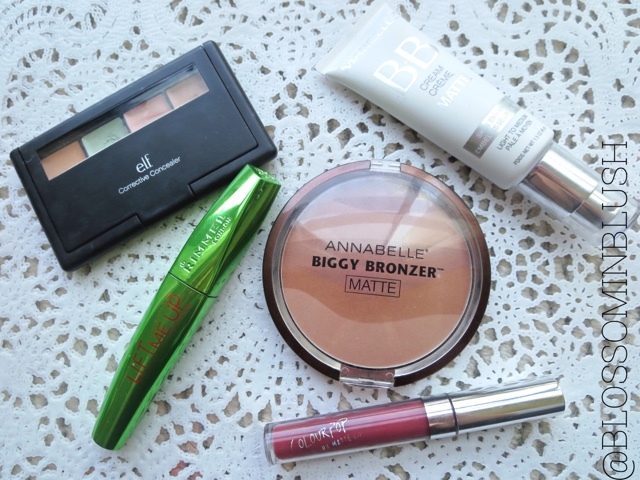 Would repurchase, but maybe only use on days when I need extra pampering. That's pretty much it! What have you guys been loving?